PlayAll photos are courtesy of the company. Tory Johnson is on the road with “Deals and Steals,” bringing exclusive discounts on must-have products live from Atlanta. Score big savings on everything from speakers to cosmetics, home-decor products and more. The deals start at just $4 and are all at least 50 percent off! All photos are courtesy of the company. Tory Johnson has exclusive "Deals and Steals" for "GMA" viewers on must-have products. Come join Tory as she travels tomorrow to Nashville. Click HERE to find out how you can join the live audience, for free! You can now find all of Tory’s “Deals and Steals” on the special deals website, GMADeals.com. 2. All deals are available only while supplies last. No back orders unless specified by the individual vendor. No rain checks. 5. Shipping rates indicated are valid in the continental U.S. only. By clicking on these website addresses, visitors will leave Goodmorningamerica.com. The Shopify powered web stores linked to are operated under different terms and privacy policies than Goodmorningamerica.com. ABC may receive promotional and financial consideration. My Audio Pet products are photographed here. Portable, powerful and playful, My Audio Pets are the tiny (and cute) Bluetooth speakers that pack a loud punch. Back by popular demand with brand new styles, these tiny pets are pairable; pair any 2 of these little guys for a big audio experience. The pets also have a built-in mic for hands-free talking when connected to your phone. 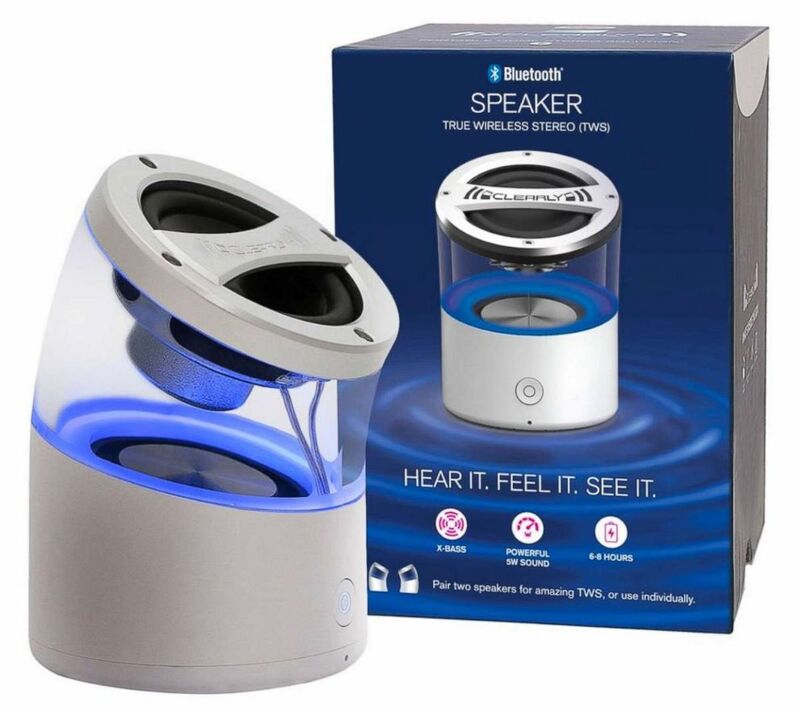 Also available are clear and wood style Bluetooth speakers. Shipping is $3.99 or free with the purchase of 2 or more. Clove + Hallow products are photographed here. 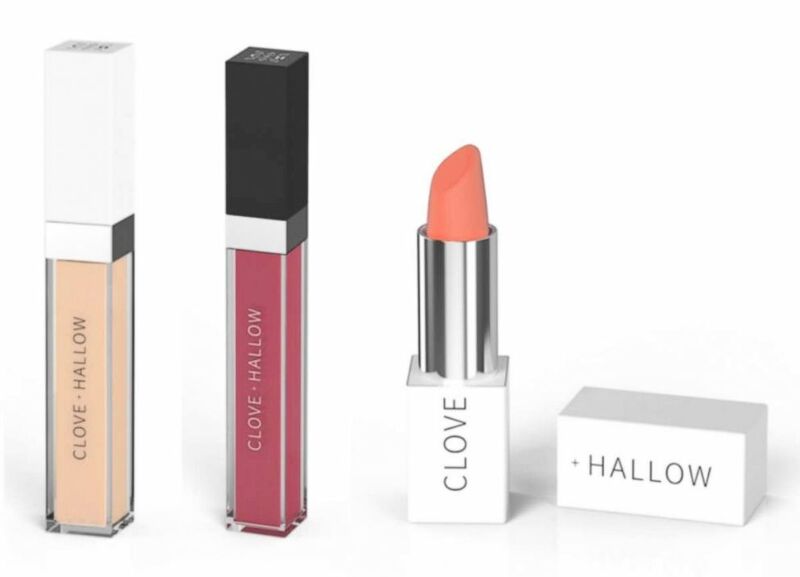 CLOVE + HALLOW is a clean, cruelty-free and vegan cosmetics lines that performs like conventional classics. Founded by a professional makeup artist, CLOVE + HALLOW uses 15 or fewer clean and PETA-certified ingredients; all of the fluff and filler is cut out, using just the good stuff. This collection of affordable cosmetics includes a large shade range to accommodate every skintone, such as Pressed Mineral Foundation, Conceal + Correct, Lip Glaze, Lip Velvet, Lip Crème and Makeup Melt. Shipping is $3.99. Glory Haus products are photographed here. 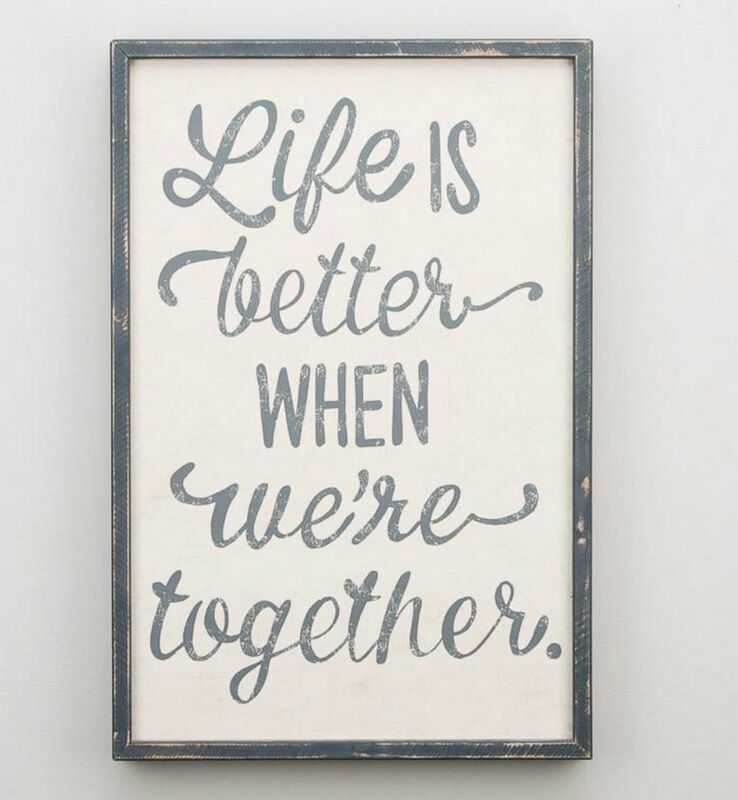 Incorporate the power of inspiration and positivity into your home. The mission at Glory Haus is to provide community transformation that changes lives through their work, art and relationships. This assortment includes framed boards that feature reminders such as “Love Makes Us Brave” and “You Are Loved.” These are great to hang on on wall or a door. Also available are pillows, which are made in a fair-trade factory in India that provides jobs for impoverished women. Limit 3 units per order. Shipping is $5.95. Joe's Gourmet products are photographed here. Family-owned Joe’s Gourmet makes it easy to create the best tasting foods right at home. This delicious all-in-one breading mix couldn’t be easier – just dip, shake and fry. It absorbs less oil and fries up nice and light due to premium ingredients. The Fish Fry will bring out the best in your seafood, chicken or vegetables without overpowering. This exclusive deal includes a set of 6 bags. A set of gluten free Fish Fry is also available. Limit 2 sets per order. Shipping is $4.99. 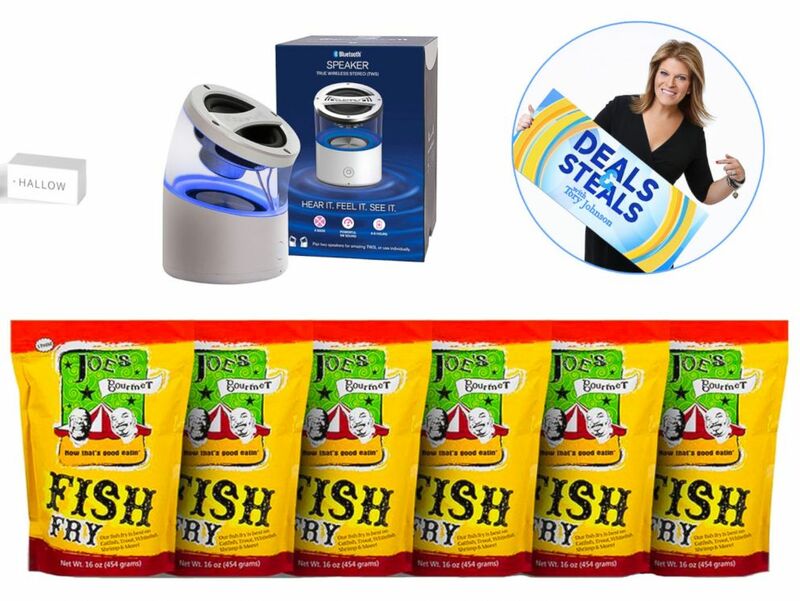 You can now find all of Tory’s “Deals and Steals” every Thursday on our special “Deals” website, GMADeals.com. NEED HELP? CONTACT TORY: If you need assistance with a deal, please email Tory Johnson directly: help@gmadeals.com. Tory and her team respond to all viewer emails within an hour during business hours.